Smartphones have already become an inevitable part of our lives, and that is something one cannot fail to accept. They have revolutionized the way we work, play and communicate with one another, but out of the box they can be somewhat lacking. 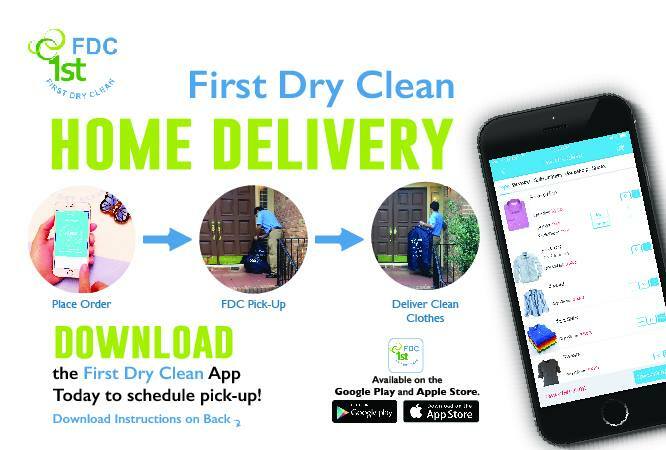 To unlock your phone’s full potential and save your most valuable asset, your time, we highly recommend you get the First Dry Clean app. This cross-platform app offers high-quality pickup and delivery dry cleaning and laundry services with few taps only. So, it is easy to use, it is simple, convenient, intuitive, and it can help you to focus on the things you love to do. When you download First Dry Clean you have to register with your mobile number. After that you can start placing your orders and add the clothes you need cleaned to your Laundry Basket. Fill the basket with whatever you need, the app includes almost every clothes and items available, from bottoms and household to wash/fold and suit and uniform. When you’re finished, submit and wait for the team to come and pickup your laundry. In the next 48 hours they will deliver it back, freshly laundered. The app contains even more amazing features, but to check them out we suggest you download the app for free from Google Play or from the App Store and visit its official website! Spend your time doing things you love and let the app and its team take care of the laundry!